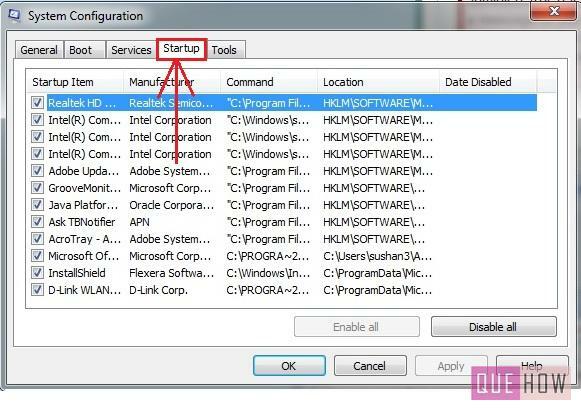 Learn how to remove startup programs in windows 7. As you may know, the processing speed of the computer system reduces with the passage of time due to the increase in the number of applications installed in it. Do you know why your PC takes too much time to boot? It is to due to the delay in the loading of startup programs as, by default, some of the programs gets added as the startup programs in your system. Don’t worry, you can remove these undesired programs from the Windows startup. 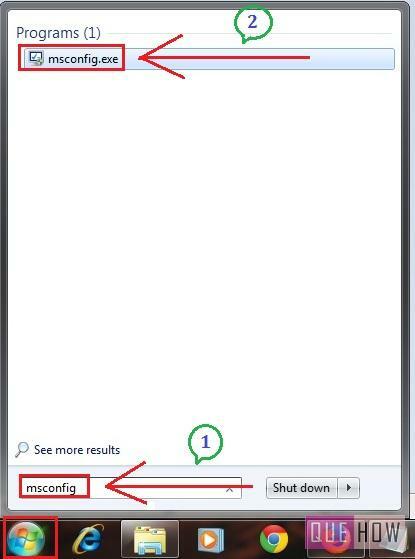 Step 1: Click on “Windows button” and Search for “msconfig”, it’s a system configuration utility by Microsoft. It is used to troubleshoot the startup processes and to enable as well disable the services, device drivers and softwares. Click on the “msconfig.exe” program to open it. Step 2: Go to the “Startup” tab available at the top in System Configuration window. Step 3: To remove any startup program, you have to Uncheck on the program, so that it would not launch at the booting time of your PC. Here, I have unchecked on “Adobe Update Software” then click on “OK” button. Step 4: A reminder will appear on your system, asking to restart the device. Make sure to uncheck on “Don’t show this message again”, to avoid this dialog box whenever you perform the same. For now, I have clicked on “Exit without restart”. But remember, until you restart your computer, the changes will not take place. You can install “Autoruns” for Windows, if you are not able to accomplish the task. 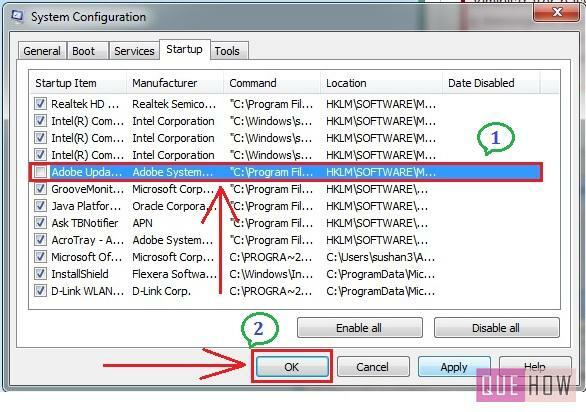 Autoruns is a tool which consists of advanced options in addition to the mscofig. You can download it from the Microsoft’s official website.